You are here: Yellow Spark > blog > Organisation > Is Your Organisation Driven by Purpose? The early businesses were about trade and manufacturing – goods were produced, imported or exported. This was followed by the service industry, where it was not just about producing or importing a product, but also about giving the consumer an exemplary experience of service. We then moved to an idea’s economy, where innovation became the buzzword of every business. Companies built research and development cells, they hired the best talent, bought the latest technology, and then designed new products that were patented and sold. But innovation for the sake of innovation does not go very far…it finally has to make an impact. This leads to what we have today – purpose-driven organisations, whose main focus is to impact customers’ lives and make a difference to the world at large…to ‘make a dent in the universe’, as the legendary Steve Jobs put it. The practice of thinking about ‘organisational purpose’ is thus a recent phenomenon in companies. But it is essential nonetheless, as it aligns its various stakeholders – management, employees, customers, service providers and investors. The purpose statement of a business is like an invisible thread that strings its different parts together. A ‘statement of purpose’ later goes on to become the very fabric of an organisation’s culture and ethos. How does ‘purpose’ differ from terms like vision, mission or values? The purpose of an organisation is not similar to the vision, mission, and values; those are terms that answer the questions ‘what’ and ‘how’… The vision defines the mid-to long term plans of your company; while the mission defines how you will go about achieving that vision, and the values state what means you will use to achieve that mission – like ethics, transparency, quality research, customer satisfaction etc. So what then does the word ‘purpose’ in an organisation stand for? The purpose of an organisation goes beyond its profits, shareholder value, customer satisfaction or employee engagement. It is a larger than life statement that reflects an organisation’s commitment toward impacting society at large. Thus, the purpose of an organisation is its raison d’etre or reason to be. A purpose drives the organisation to do more, do better… It answers the question ‘why’ – giving the organisation and its employees a reason to work toward their goals. And finally, a purpose gives the organisation a competitive advantage: Companies may make similar products but a clear purpose –for example, its commitment to enrich a customer’s life–is what separates it from the rest. Why is it so important to define your company’s purpose? When a company’s purpose is clearly articulated, it removes any ambiguity in the decision-making process. When the intent of the business is clear, leaders will become more confident about the steps to take, and develop strategies that are aligned to that purpose. Moreover, the behaviour and actions of leadership will filter down to everyone else in the organisation, guiding them too in their decision-making and goal-setting. In times of a crisis too, a statement of purpose allows you to do better damage control. Your statement of purpose will show you exactly what you need to do to please the customer, and work on your reputation management. For example, in 2016, when Toyota recalled almost 5.8 million cars worldwide – after detecting faulty airbags in some of its models – it reinstated its commitment to ‘enriching the lives of its community, partners and environment…’ Customers’ lives were valued more than the monetary losses they would face by the recall. But how exactly does one define the purpose of an organisation? A company’s purpose is more than just words… It has to be reinforced and put into action on a daily basis. The purpose will help the company make important decisions, and help chart the future path… For leaders, a purpose statement acts as a compass, navigating them in the right direction. The purpose also defines a company’s ethics, determining what it will and won’t stand for. For example, if a company is committed to creating a sustainable planet, the company may decide not to transact with service providers who don’t follow eco-friendly standards. This may result even in organisations declining short-term gain and profits if it does not resonate with their organizational purpose. Finally, the company’s purpose gets reflected to the consumers. 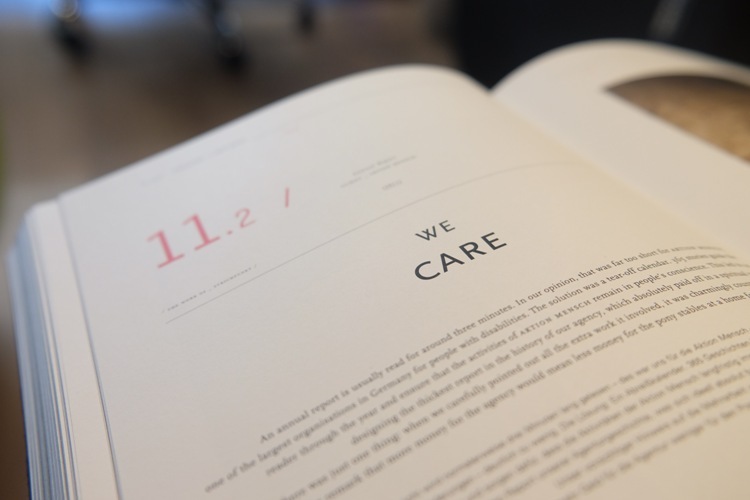 The brand becomes known for its commitment to making a difference in the lives it touches. This could be through its exceptional quality and service, or through the brand’s open acknowledgement of its purpose and commitment through its communications and messaging. This eventually leads to heightened customer engagement, with more of their wallet share being promised to an organisation with purpose. What has the organisation stood for thus far? What values does the management work with? What motivates employees to do better? What would you need to say to inspire new recruits? How can you make a long-term impact on your customer and industry? What current political, social, or ecological issues can your company espouse? Ensure it states clearly what impact it is making on society. Keep it short and concise so that it can be remembered by all. Use adjectives that depict the strength of your conviction and power of intent. Develop a broad-based purpose that encompasses the overall picture, not just a few aspects of your company. Leave enough scope for iterations in the future…companies evolve as do their purposes. Make it inspirational and motivational, so that employees are driven to work hard every time they read or listen to it. Communicate the purpose statement internally by putting it up on boards where it is visible. Let customers and stakeholders get aware of your good intentions through messaging as well.